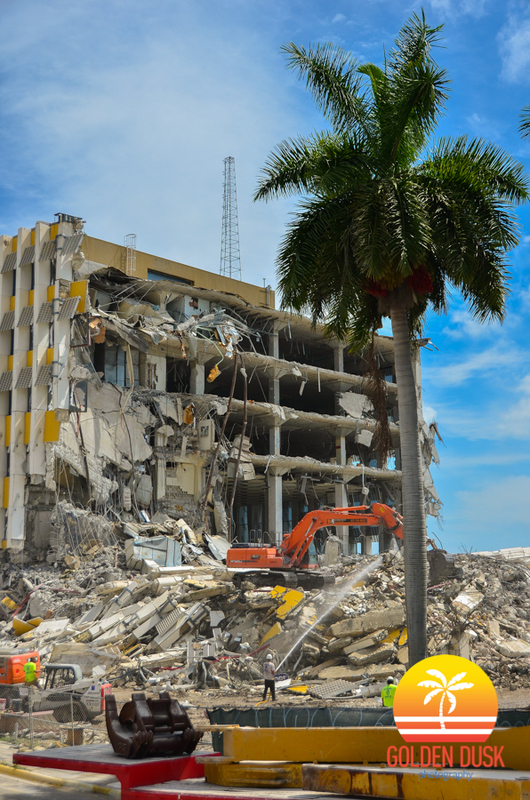 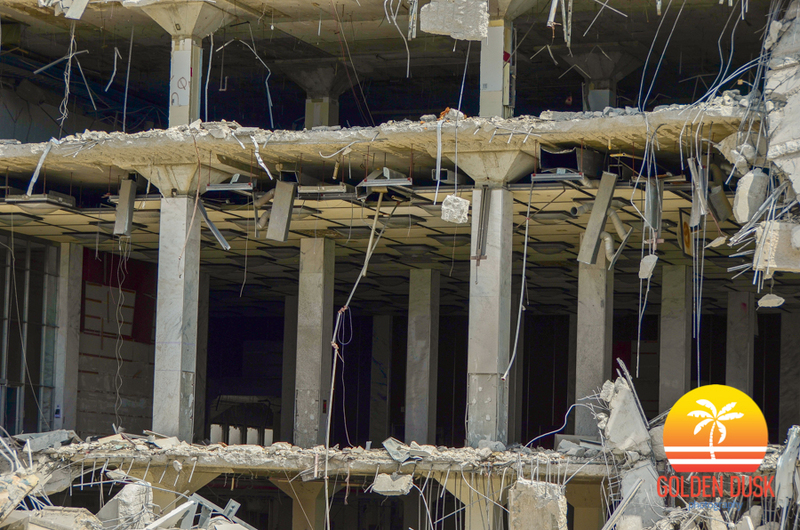 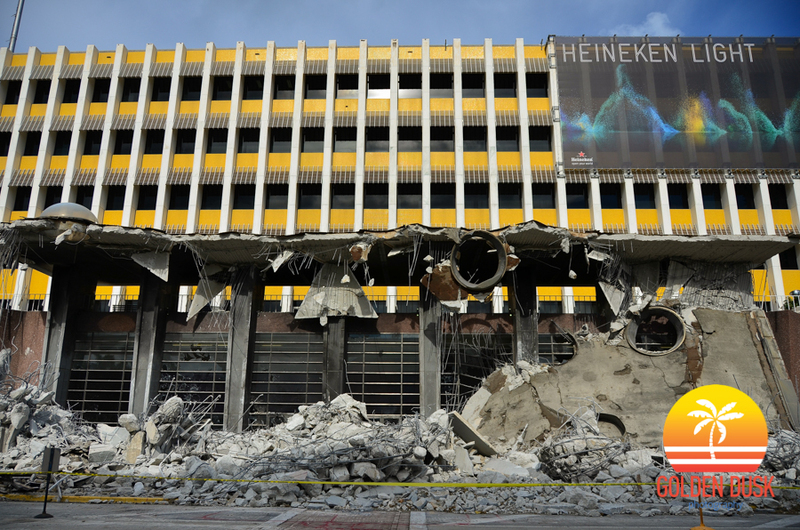 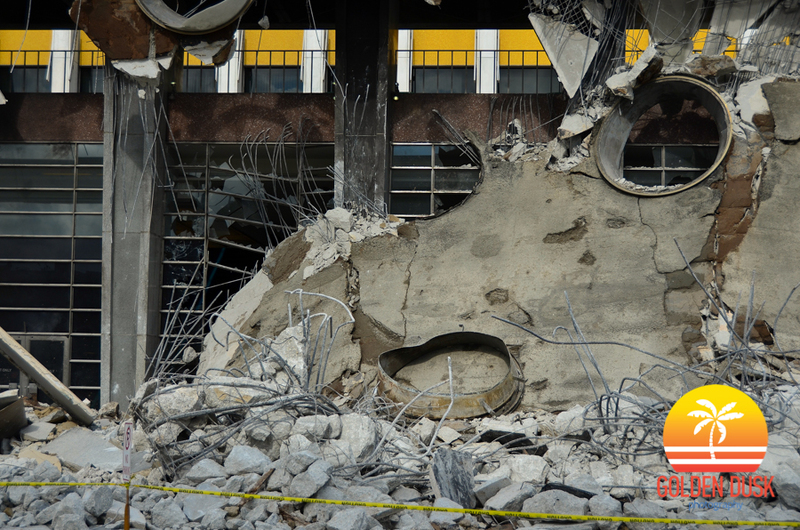 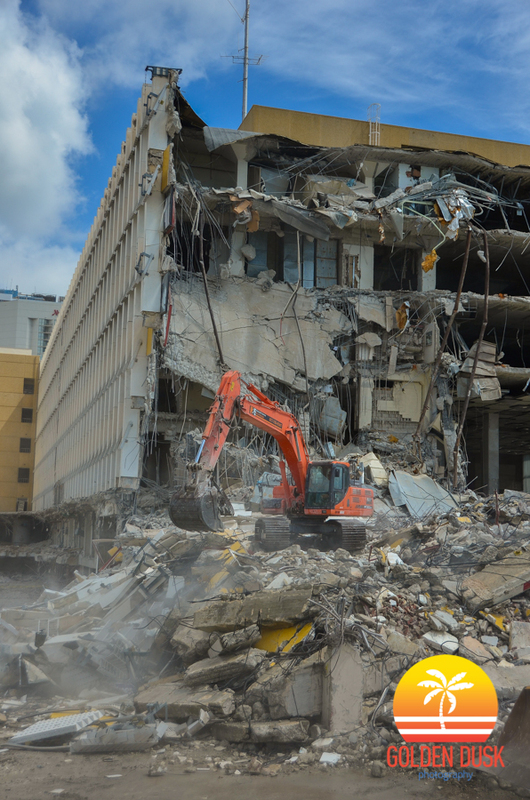 Demolition started on the old Miami Herald Building this morning after months of slowly dismantling the building. 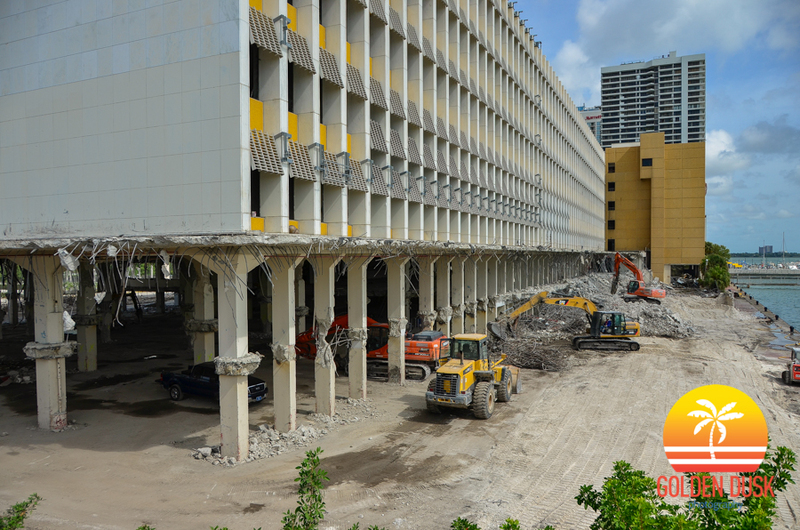 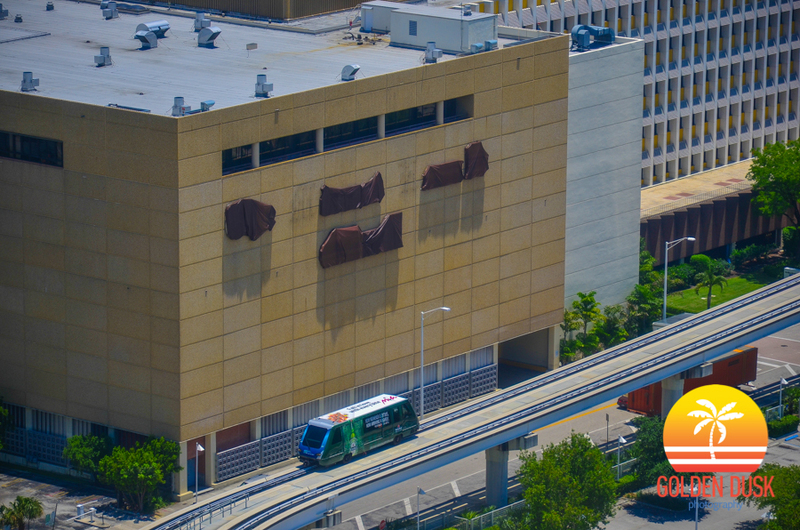 The Miami Herald moved out of the building in May 2013 after being there since the building inception in 1963. 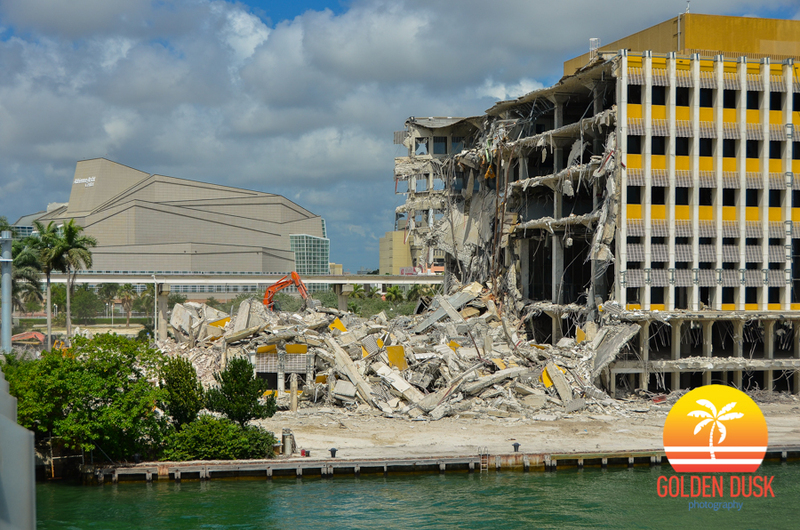 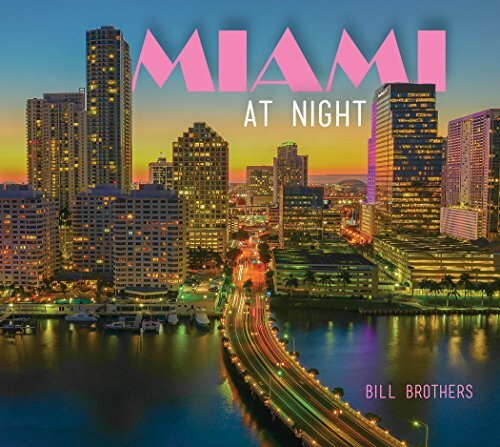 Located at One Herald Plaza along Biscayne Bay, the building and land was bought by the Genting Group in 2011 for $236 million. 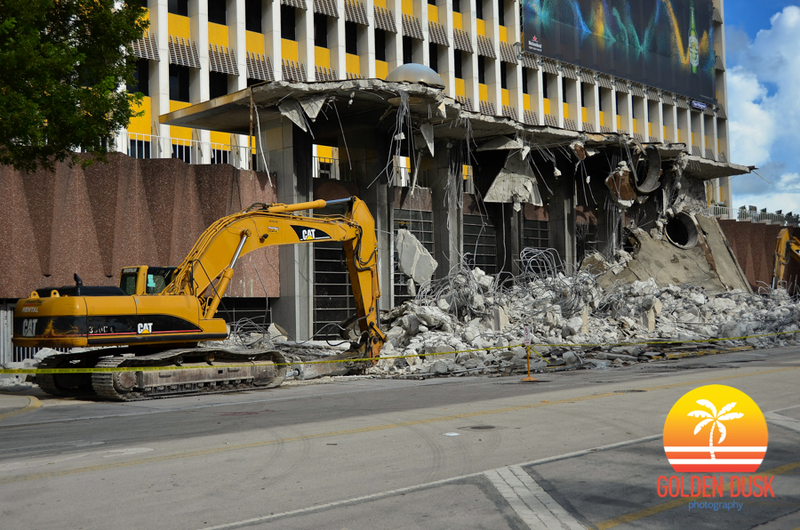 They have plans on building Resorts World Miami, which will have condos, hotels and possibly a casino, but there has been some hurdles from the State against bringing gambling to the area. 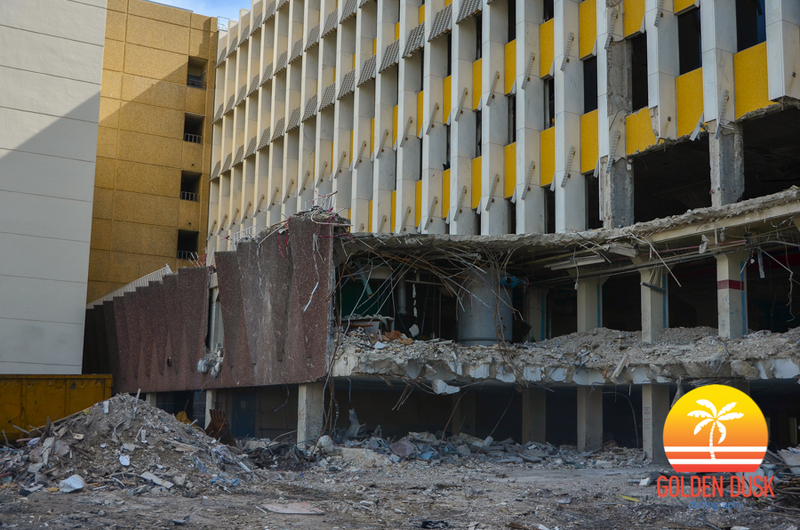 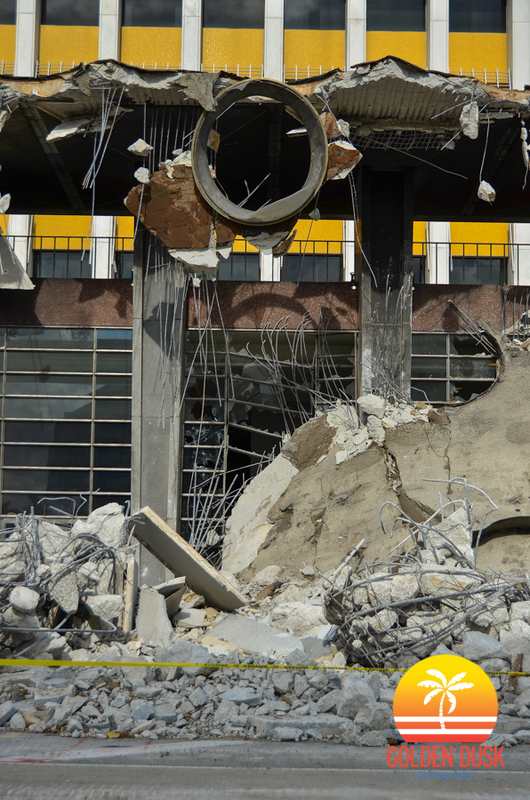 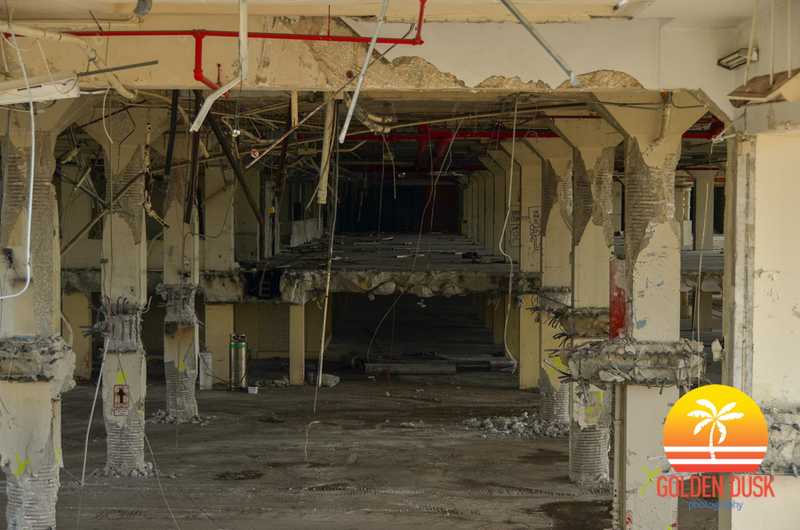 Below are photos from three phases of the demolition taken in August 2013 and two separate occasions in April 2014.